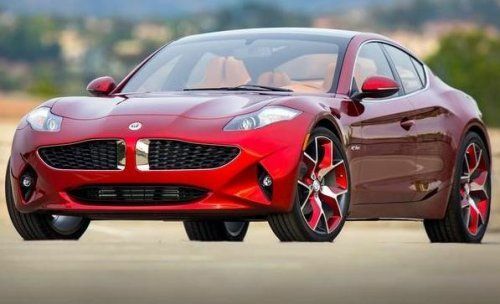 Those hoping to purchase the new Fisker Atlantic midsized electric sedan with a range extending gasoline engine will be waiting longer than originally expected as the American EV builder has announced that the Delaware-built Atlantic will not see production until 2014 or 2015. The Fisker Atlantic will be the first US-built extended range electric vehicle from Fisker as the big brother Karma is built at the Valmet Automotive plant in Uusikaupunki, Finland. Production was initially expected to begin in 2012 at the Delaware plant but a variety of factors – including the freeze of a massive government loan – have slowed the process. Some have questioned whether Fisker will be able to continue with their plans to build the Atlantic in Delaware with the lack of the large US Department of Energy loan but the automaker has reportedly managed to raise a tremendous amount of money (1.2 billion since 2007) that should allow them to build cars in the US. In addition to the investment capital raised over the past five years, Fisker officials have stated that the former General Motors plant in Delaware has more capacity than they will initially need. This could allow Fisker to offer some of their suppliers the ability to set up shop right in the same plant that will house production of the Atlantic; for a cost of course. Having suppliers in-house could help Fisker to both raise money from the “rent” brought in by these suppliers along with keeping costs of the Atlantic down through reduced transportation costs on the items supplied by the other firms. The Fisker Atlantic will launch as the company’s “volume model” even though it is expected to carry a price upwards of $55,000. In addition to the Atlantic, Fisker plans to use the architecture from this midsized models to produce future models including more than one sport utility vehicle/crossover. Should they achieve those goals, the manufacturing process with some of those components not produced by Fisker still being built in-house could allow those future models to see continued cost-cutting benefits. On top of the SUV and crossover that will be based on the Fisker Atlantic underpinning – the automaker has previously shown the Surf Shooting Brake Concept and the Sunset Convertible Concept that are both based on the architecture of the current Fisker Karma. The Surf and Sunset will also look a great deal like the Karma should they make it to production in similar form to that seen in the concepts. The current Fisker Karma full sized luxury sedan has done a fine job of introducing the Fisker name and technology to both the US market and other important geographic locations around the world but with a price tag over $100,000 – the Karma is not a car for everyone. Even with a price of $55,000, the Fisker Atlantic will still be out of the reach of the average car buyer but when you consider the level of luxury in the Karma, the Atlantic could be a major player in the luxury midsized sedan market with incredible fuel economy, an impressive all-electric range and a price that puts it right in the hunt with top marquees in the class from the likes of BMW, Lexus, and Audi. However, that is all speculation until a Fisker Atlantic actually rolls off of the assembly line and with production now pushed back to no sooner than late 2014 – it will be at least two more years where the Karma will have to keep the brand afloat. Luckily, company head Henrik Fisker has stated that the Karma sedan does sell enough units to “pay for itself” but for Atlantic production to begin, the company will have to hope for more investment money and continued success from the range topping Karma. I have had the pleasure of spending a few hours in a Fisker Karma and I am confident that if the company can get the Atlantic to market with a price in the $50-60k range – it will vastly improve Fisker sales around the world. The Atlantic will have similar unique styling to the Karma along with a plush interior and an electric drive system with a range extending gasoline engine…although the Atlantic in base form will likely be a touch less power and a little less plush than the bigger brother. It is no secret that I am a big fan of both the Fisker Karma and the people running the innovative automaker so I am rooting for Henrik Fisker and his electric vehicle company to succeed into the future.